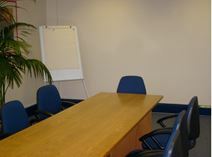 Office Space - Tolworth, Royal Borough of Kingston upon Thames. A centre featuring pleasant, well presented office suites with reception and secretarial support, fast broadband and contemporary furnishings. Link House is in the village of Tolworth which has its own railway station and is close to the M25.